There is no such thing as a bad game that features a pink-haired girl with kitty ears — even the most hideously unplayable mess is somewhat redeemed by such wondrous presence. Luckily for Gamevil, Arel Wars 2 is pretty damn playable as well. 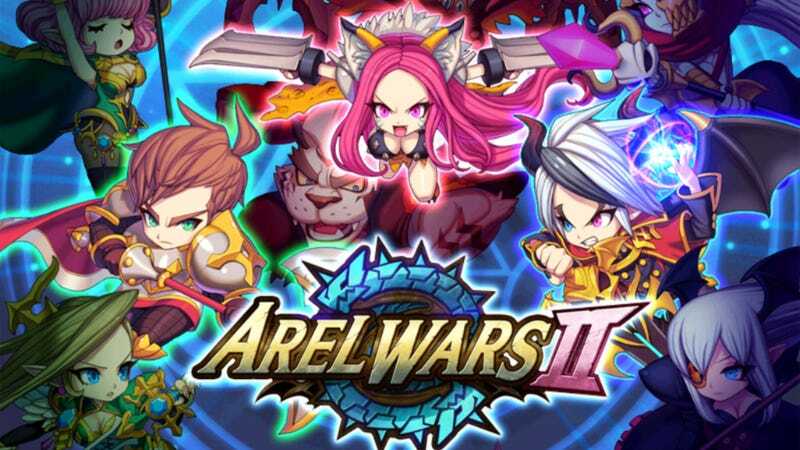 A deep and satisfying free-to-play defense game now available for iOS (the Android version's been out for a while), Arel Wars 2 casts players in the role of one of three heroes, mustering their forces in order to do something that — if I am not mistaken — involves anime characters speaking in poorly-translated English. Who needs English, anyway? It's fun, there are powers, units and castles to upgrade, other players to battle in PVP and, most importantly, the pink-haired kitty girl.